It’s d-day…. A and I are moving to Philadelphia. We spent the last few days packing up his apartment (I had packed my stuff a couple weeks ago), keeping and getting rid of various things, especially recycling paper that had been in A’s possession for far too long. 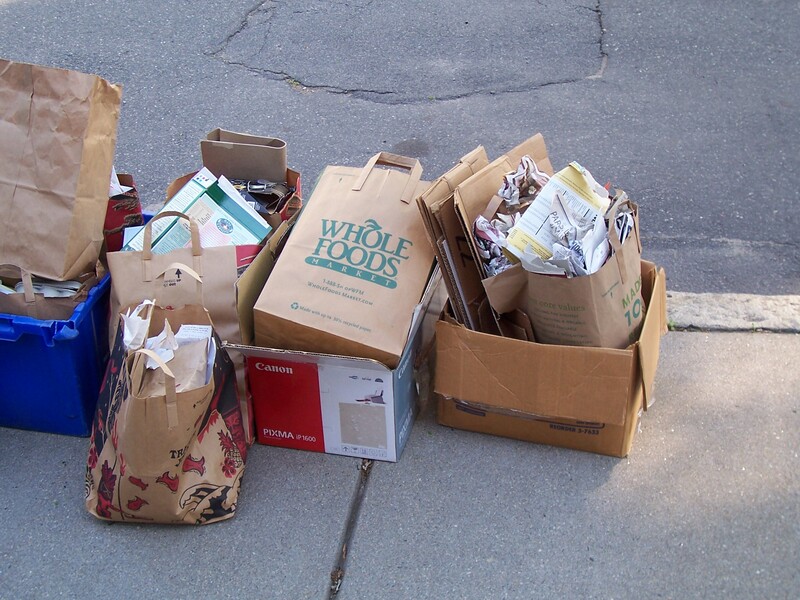 The curb therefore was quite crowded this morning with old articles, receipts, etc that had finally been parted with. 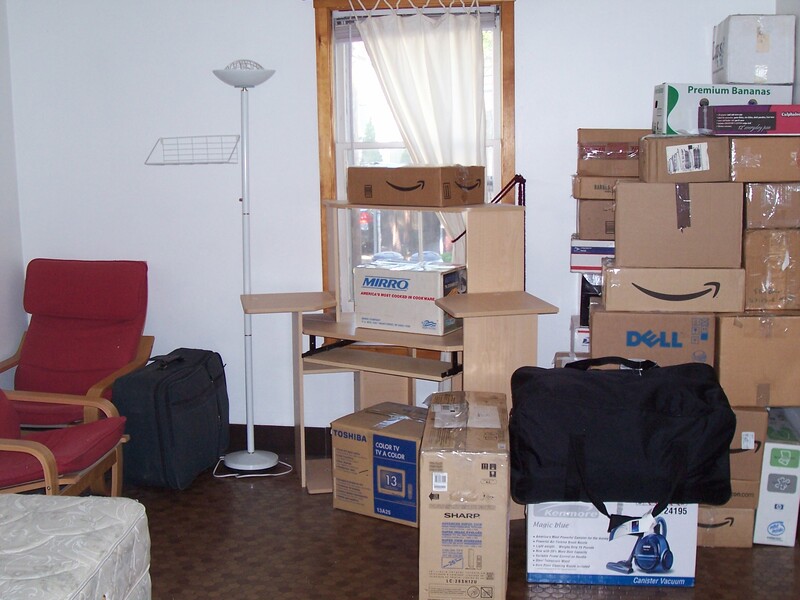 We were left with, in the end, a whole lotta boxes for the movers who are coming this morning. In the end, it feels a little weird, a little sad, a little strange to pick up everything and leave again, but I am also a little excited for the summer and for the unknown that is before us. It is really neat to think that A and I are going to get to explore a new city together, even if I am going to be busy most of the time with Broad Street. Anywho, wish us well…. the moving van is here and it is time to get going!